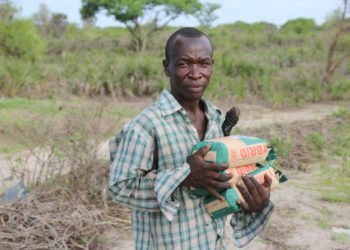 A total of 5012 farmers across the Lamu County will receive free seeds from county government in this yearlong rains. The department of agriculture and water development in this year’s budget purchased 51 tons of different seeds to be distributed to the farmers. According to the Deputy Director of agriculture Mr. Mwinyi Ali Mwakufunza, the process of distributing those seeds to farmers has already started across the county.The seeds are of maize, cowpeas, green grams nerika, sorghum and finger millet. Sorghum and finger millet will be only distributed to the marginal areas of Kizingitini and Shanga. The maize seeds purchased are expected to plant an additional 5012.5 acres in the county with an expected yield of over 75,000 bags of maize of 90kgs. Also about 1,300 acres of pulses (green grams and cow peas) will be achieved with an expected yield of 3900 bags. The department of Agriculture and water development has an objective of providing nerica rice seeds to farmers to be bulked and replanted in the subsequent planting seasons. Deputy Director Mwakufunza asked farmers to be vigilant and report any cases of warms which may destroy their crops to the nearest agricultural office for necessary action to be taken.